DISCLAIMER: The opinions expressed as part of this panel recap are those of the writer and do not reflect those of oprainfall as a whole. MangaGamer held its annual panel at Anime Expo on July 1st entitled “MangaGamer: The Now & Future of Visual Novels.” This was my third time attending MangaGamer’s panel and it’s always a lot of fun. Of course, one of the major reasons we all attend these panels are to get updates as to what’s coming, and to see some new announcements. 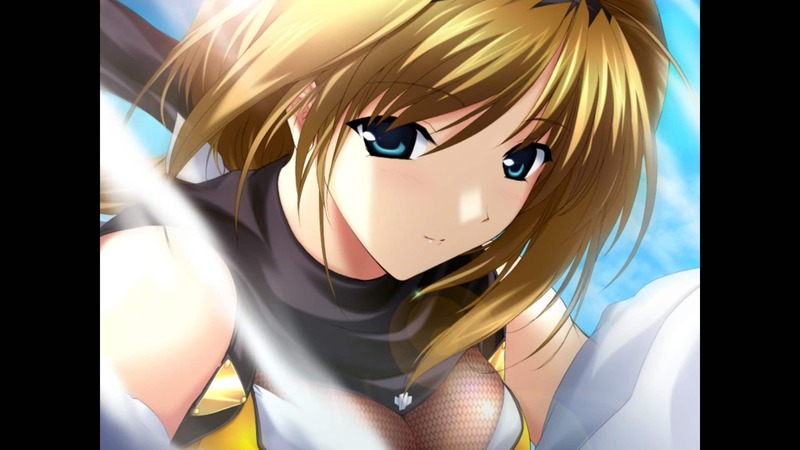 This time was no different and MangaGamer had five titles they unveiled. First of course let me update you all on what MangaGamer currently has out and are working on. Next were reminders about upcoming titles. Firs is Umineko When They Cry: Questions Arc which will release on July 8th and is $24.95. Through preorder however it’s only $22.45. Supipara: Alice the Magical Conductor Chapter 1. This will be available for $14.95 on July 29th. If you preorder the game however it’s only $13.45. One thing I will note about this title is that the producer, Nobukazu Sakai, was present. The story of Supipara’s development is something I sadly don’t have time to touch on here. In short, only episodes one and two were released in Japan. The remaining three parts were sadly never made. However, if the sales of part one and two in the west are enough to give Minori enough funding to continue the project, parts 3-5 will release in west (US and Europe) before Japan. So for those of you who have been wanting a release before Japan, here is your chance. More information can be found on the project page here. Finally it was time for the new announcements. First was If You Love Me, Then Say So! (Watashi ga Suki nara “Suki”tte itte!) a title from a new partner, Chuablesoft. This theme for this title seems to be the notion of a love confession. You’re free to confess your love at any point, however how long you wait and what you do before and after are key to the game. In fact, this fame won the 2015 Moege Award for best game design. I’m really looking forward to this one as I love romance stories, and I’m quite curious to see just how much the timing of confessing will alter the story and possible events. The game is an 18+ title with Japanese voices for the heroines and will be uncensored. Next was a game very much for the ladies (and BL fans of course), but one that made the entire panel roar with laughter. Hadaka Shitsuji – Naked Butlers! is by Mito Togo and was Mada Koubou’s debut title. This was a game because the created wanted to play it and it didn’t exist. That can very well be a very successful recipe and if the trailer for this game is any indication it will be awesome. This BL comedy will be an 18+ title and will even come to Mac and Linux as well. Take a look at the trailer which includes a message from the creator and decide for yourself if some naked butler action is in your future. Next we turn to an Otome title. Fashioning Little Miss Lonesome (Bocchimusume x Produce Keikaku) is from Kalmia8, another new partner for MangaGamer. Remember Tomoko from WataMote? Well what if she had two guys show up who decided to turn her into a model. That’s basically the idea here and it sounds hilarious. One thing we were told in the panel is that you can game over on the first choice, which is to get out of bed. This will be available both in an uncut, uncensored 18+ version from MangaGamer and and All Ages version for Steam. Also, the game is fully voiced. So look forward to that. 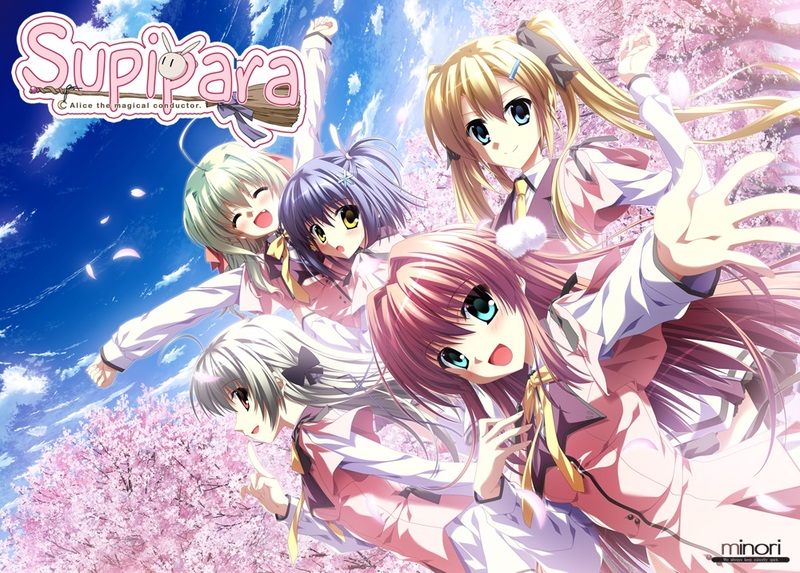 Next we to paradise with the spiritual successor to Da Capo. D.S. – Dal Segno –! is the latest game from Citrus. The setting is a summer island near Tokyo that is filled with artificial sprites that maintain the island. Shortly after arriving the protagonist gets into a minor accident with the girl who acts as the AI of the island, Ame. After this he finds he can see the readouts of the happiness levels of everyone on the island. Thus begins a Slice of Life romance that asks “what is happiness?” The game will be available in both an uncensored 18+ version from MangaGamer and an All Ages version for steam, with all the girls being voiced of course. Finally, it was time to get dark, very very dark. We were warned that this was not a game for people or humans. This was not a game for values. This was a game for those who believe we are born to survive. And let me tell you, when even the studio that brought us euphoria can outdo themselves. You have reached a new level of depravity. That is Maggot baits The winner of the 2015 Moege Award for Top Fetish Game and with the original concept done by Shigeo Hamashima (No, Thank You!! !, euphoria). If you have been craving a very dark and twisted tale this is for you. And it will be entirely uncensored and fully voiced. With that we closed the panel after a short Q&A session. This panel was great and there’s a little something for everyone in this lineup. Also I will note we had five titles announced, and all five will have 18+ versions. So for anyone who thought Eroge was in danger vanishing, have no fear. MangaGamer has your back. And, it you’re like me and were hoping for a little Yuri, well Otakon is only a month away. Perhaps we might see something unveiled there.